The Website of Yuqi Wang, one of the world's great realists. My Guild Co-founder Van Nielsen. A great painter and sculptor. Jeremy Lipking. A top figure painter. Excellent nudes. The Website of Marc Dalessio, a fine realist working out of Florence. Check out his blog. Aron Wiesenfeld, famed for Girl with Bike, the Delegate's Daughter, and other paintings. Gary Arseneau's Blog. Blowing the whistle on fake Rodins, fake Degas, fake Matisses, and many fake lithographs. Before you make "limited edition prints," you had better read Gary's blog. LOTR Sequel, not fan fiction but a 400-page true sequel to the Lord of the Rings, with maps, illustrations, songs, poems, and extensive footnotes on the language and history of Middle Earth. 2007 Zogby Poll on 911. For those who dismiss 911 questions as coming from a "lunatic fringe," this national poll proves the opposite. A majority (51%) say there should be a new and better investigation, and a super-majority (67%) say WTC7 should have been investigated by the 911 Commission. A full 31% say that our own government either let it happen on purpose or made it happen. These numbers are approaching those of New Yorkers polled by Zogby in 2004, a full 50% of whom believed that the government let it happen on purpose or made it happen. Another interesting statistic from 2007 is that women are more likely to question 911 than men, by a full ten percentage points. New York Times/CBS poll shows 84% think 911 was an inside job. That is from a 2011 mainstream report, at the London Independent, which reports the findings in those terms. Fires and steel experiment, a youtube video proving that World Trade Center 7 steel was not deformed by fires or sulfurated by gypsum boards. The sulfur that caused such deformation must therefore have come from some other source, probably thermate or another exotic explosive. Patriots Question 911, a list of over 3,000 high-ranking people who question 911, including ex-Presidents, Senators, top military, CIA, FBI, structural engineers, architects, pilots, and more. If nothing else makes you doubt the official story, this will. look like a gravitational collapse to you? 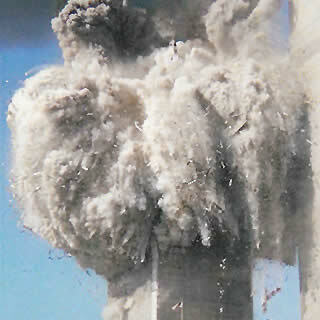 Architects and Engineers: the Mystery of World Trade Center 7. A short but powerful documentary on the controlled demolition of WTC7, from 1,500 architects and engineers, as well as victims families, all calling for a new investigation of 911. Global Research, who benefitted from 911. Analysis of Financial Terrorism in America. A fantastic article by David Degraw at Global Research, outlining how the wealthy are looting the world and stealing from you personally. Fabled Enemies, by Jason Bermas. The most up-to-date video documentary on 911, by one of the Loose Change investigators. Excellent. South Tower Anomalies. Another good 911 film. Al Qaeda Doesn't Exist. A new documentary showing who and what Bin Ladin and Al Qaeda really are: creations of the CIA. 911 Timeline. The best source of footnoted information about all aspects of 911, compiling mainstream reportage from all over the world. Who is Larry Silverstein? A long article from Haaretz elucidating how the owner of the World Trade Center is linked to the Israeli government. Very disturbing. Deleted by Haaretz but saved by the Wayback Machine archive. Who is Barack Obama? The Associated Press has now been caught reporting (syndicated worldwide) in 2004 that Obama was born in Kenya. Hacking Democracy. A film by Bev Harris and others, from blackboxvoting.org, about stealing elections with voting machines. Black Box Voting website, by Bev Harris, informing you of the latest in vote fraud. 2004 and 2008 elections were stolen, says Stephen Spoonamore, an expert on voting and ATM machines, in this eight part interview. Open Voting Consortium website, by Alan Dechert: one solution to voting problems, though still not the simplest. Brad Blog. Investigative reporting on vote fraud, etc. George Washington's Blog. One of the best online. John Pilger's website. Pilger, an ex-war correspondent for the BBC, now an independent journalist and documentarian. A man with a conscience. Noam Chomsky, CIA asset. After several years of denial, I have come to see that Chomsky is indeed playing a long game of misdirection, leading the left away from the major players and the big stories. 911 was his downfall. PsyWar. The documentary on psychological warfare. Lots of good information, although this film happens to be part of the PsyWar itself. Chomsky, Zinn and the rest are misdirecting you. Notice, for instance, that not once in 139 minutes do any of these guys mention Intelligence. 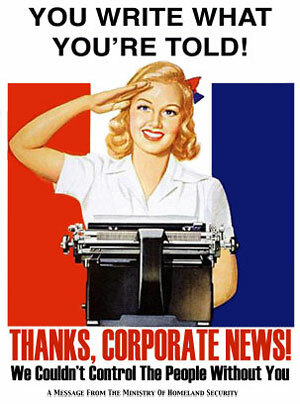 You are supposed to believe that propaganda is created and disseminated by private PR firms. Right. The Obama Deception. A documentary revealing Obama's lies and his connection to Wall Street and the globalist agenda. Also see my paper on Obama, predating this film. An Interview with Webster Tarpley, from July 2008. The Historian Tarpley is a great source of information about world politics and contemporary propaganda. Bloody Sunday. Not just a song by U2. 14 Irish demonstrators murdered by British police in Ireland. Learn about it. Another one is just around the corner, in the US. Project Censored. This link is to the top 25 censored stories of 2009, that is, the top stories you haven't read in the mainstream press, and won't. Not a conspiracy theory site, this site is recommended by Walter Cronkite, among many others. Kent State murders. Like Bloody Sunday, "four dead in Ohio" (see Crosby, Stills, Nash, and Young). Protestors murdered by National Guard. Coming soon to a campus near you. George Galloway's website. Galloway is a British MP of many years, a vocal supporter of Palestine, a leader of the Iraq anti-war movement, and the man who destroyed Christopher Hitchens in debate. He is also the canary that showed the bad air now in Canada, where anti-war speakers are denied entry to the country. In this at least, Canada is now more fascist than the US. Oil, Smoke and Mirrors. A documentary about peak oil and 911 Truth. Cynthia McKinney for President. Cynthia is probably the top 911 Truth candidate. She talks about it more than anyone else. Ralph Nader for President. Tarnishing his legacy? I don't think so. Losing the respect and support of small people is not tarnishing your legacy, it is polishing your legacy. Beppe Grillo's blog. From Italy. A great spokesman against governmental corruption. Makes Al Franken look like a wimp. Norman Finkelstein's website. Author of Beyond Chutzpah, among many other things. Henry Kissinger: The Making of a War Criminal. Google Video. The Corporation. Most popular Canadian documentary ever, critiquing the rise of the corporation in recent history--mostly through skewed legislation. The Torture of Sami al-Arian. Your Patriot Act at work. Also see the documentary "USA vs Al-Arian." Al Arian was arrested, held without charge in solitary confinement, and had all of his civil rights violated, for the "crime" of non-violent support of Palestine. Despite being acquitted by a jury of his peers, he spent 5.5 years in jail, and still faces charges of contempt of court for refusing to testify in a separate case. Ward Churchill. Read this if you think academic tenure is worth anything. Churchill was fired by the University of Colorado for his opinions on 911. A jury found the University guilty of unlawful termination, but the jury's finding was vacated by the judge in a very odd precedent, claiming the University was immune from the jury (this AFTER the trial!). The Fake University. Major universities caught faking SAT scores, employment data, and more, to boost enrollment. More proof the entire world is faked. The Whitehouse Coup. A BBC radio documentary from 2007 about the failed corporate coup against FDR in 1934, led by top families like Morgan and DuPont. What the BBC failed to discover is that the coup succeeded only a decade later. Lockerbie crash caused by CIA. BBC reports that Pan Am's own internal investigation found Arab's not involved; rather, the CIA was silencing some of its own whistleblowers. Also see this link, in which it is reported that a Scottish police chief has given a sworn deposition to a Swiss court admitting that he planted the timer switch found at the site, at the request of the CIA. In the same place it is reported that the Swiss engineer who was a main witness at the Lockerbie trial has admitted in sworn testimony that he stole the timer switch in question and delivered it to Scotland. Why We Fight. A documentary on the War Machine, 2005 winner at Sundance. Inner City Press, a small online press censored by Google (for covering United Nations corruption), just as I was censored by Yahoo. Fluoride Alert. You are being poisoned on purpose. Government suppresses facts about fluoride. Declassified military documents prove gov knew dangers of fluoride as early as 1944, deflecting the crisis with lies about dental benefits. EPA's Employees Union is against fluoridation of water, including EPA's own scientists. Dr. Stanley Monteith gives a long lecture on the dangers and history of fluoride. Dr. Dean Burk, head of the National Cancer Institute's Cytochemistry Sector from 1938 to 1974, tells us that fluoride is the number one cause of cancer in the US, and that its continued use amounts to mass murder. Organic Consumers Association information sheet on fluoride. Vaccine Nation. Vaccination is another Big Pharma scam. Your tweets are being monitored by the CIA, according to the Associated Press. British Medical Journal exposes WHO.World Health Organization shown to be owned by drug companies. Dangers of Mercury Amalgam fillings. Don't get them for your children, remove them safely, and lobby for a total ban. The Future of Food. A great documentary about food production, including a strong indictment of Monsanto and biotech in general. Also shows how the regulatory agencies like the FDA, USDA, and EPA have been bought out and coopted by the corporations. Fox News fires reporters at the behest of Monsanto, concerning a story on Bovine growth hormones. The Dangers of H.A.A.R.P. Alaska's Tesla project to heat the ionosphere, enabling weather control, systems disruption, and other military applications, including possibly mind control. Part 1 of 2. The Moon Landing Hoax. Fox TV's best documentary ever. Look at the evidence and decide for yourself. Dark Mission: NASA Moon Hoax. If FOX doesn't give you enough evidence, you can study the evidence in this long three-part documentary. Earth First! Switch over to a real environmental organization. Sierra Club and all the rest have been taken over by the podpeople. The Sea Shepherds. I love these guys and gals. "Granny D" Haddock speech at Gettysburg, April 2008. Mark Twain's The Mysterious Stranger. I never laughed so hard.